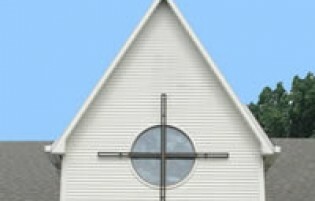 Christian Community Presbyterian Church is located at 3120 Belair Drive, Bowie, MD 20715. CCPC is about 200 feet up the Belair Drive hill, with two entrances on the right. The closest intersection to the CCPC parking lot is Belair Drive and Sedgwick Lane. Parking is located to the side and behind the church, with spaces for those with handicapped tags in front of the church, closest to the main entrance. GPS systems, Google Maps, and Mapquest generally provide adequate directions.